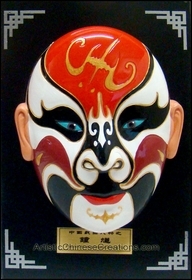 This miniature Chinese opera mask will look great on your table. You may also hang it on the wall. 100% Hand made Chinese opera mask.